With a name like “The Happiest Place on Earth,” it’s no wonder why Disneyland is such a popular vacation site. Millions travel to California each year for the chance to experience the magic of the theme park. Everyone has fun when they visit the home of Mickey Mouse and explore the various amusements found there. Enjoyable for families and friends, you’ll have fun at Disneyland no matter when you go. When trying to find the best time to go to Disneyland in 2018, the important thing is to focus on what works best for your own needs. Certain months of the year, or even days of the week, can be more ideal than others. Whether you want to avoid crowds or find the right season to visit the park, it’s essential to know your options. Here are some tips to help guide your decision-making process. If you’re considering the best time to go to Disneyland in 2018, you’ll want to check when the park is the most crowded. Waiting in line for rides wastes your time and means you won’t get to accomplish everything you want to do. Since it’s one of the most popular travel destinations in America, the theme park stays pretty busy. However, the park can become less crowded during certain times of the year. If the following tips don’t satisfy your worries, check out Disney’s Crowd Calendar from 2017. This will give you a general idea of the most hectic times of year at the park. Since the park can block Annual Passholders from entering during specific times, this eliminates locals or regulars from the usual crowd. These dates usually occur when the park perceives it will be busiest. Californian students tend to frequent the park, so be wary of months when they aren’t in school. During most of the summer, the park bars entry from Southern California passholders. Keep in mind that summer breaks, school holidays, and weekends tend to be the busiest times. The crowds will grow larger during these occasions, so you should be wary of these dates. You’ll want to avoid the dates listed above if anxious about the park being packed with visitors. If you go to Disneyland during these periods, the crowds will still be present, but less so than other times. However, check to see which rides and showings remain open for the time you want to visit. The park tends to close certain attractions for maintenance during slower times of year. Rides like the Haunted Mansion and Space Mountain usually shut down in the fall. Don't visit on these dates if you're hoping to take a spin on these rides. However, know that you'll find something fun to ride on every day of the year. Conversely, Halloween time represents one of the busiest periods for Disneyland. The famous Mickey's Halloween Party remains a huge draw for visitors who've never been to the park. Additionally, certain dates might draw larger crowds. Labor Day and Columbus Day bring an increase in visitors. Memorial Day and Veteran’s Day also generate bigger numbers. However, on the weekend of Veteran's Day, members of the military can receive park discounts. During these occasions, military personnel may choose three or four-day park hopper promotional tickets. Similarly, the week of President's Day draws lots of people, though the rest of February doesn't bring many crowds. Since Easter falls around Spring Break, the week attracts a high level of visitors. Families and college students alike will flock to the amusement park during Spring Break, leaving Disneyland filled with crowds. Another factor is the Anaheim Convention Center, located across from the park. Events at the center bring visitors into the park during breaks from the convention. Those who travel for convention meetings tend to stop into the park for a few hours before leaving the area. These types of events occur year round, so crowds will be inevitable whenever you decide to visit. Dapper Day represents a prime example, with lots of visitors arriving for social events while dressed to impress. Fans of theme parks like Disneyland Resort know that the perfect week or day to go doesn't truly exist. Overall, make sure to book a trip for when you think will work best for your needs. Since California maintains usually mild weather, visiting will probably be pleasant during any season. However, there are always pros and cons when it comes to the season. The summer brings hotter temperatures and stronger sun. Thus, if you want to avoid the chance of sunburn, you should consider going to the park during another time. Or just make sure to pack some sunscreen and hat to protect yourself. The park also tends to be very popular at this time, with kids no longer in school. If you’re a big fan of the water rides, then summer will be the best time to go to Disneyland in 2018. With temperatures between 70 and 80 degrees, the weather will probably be beautiful. Similarly, if you would prefer to escape rain or chillier nights, the spring months might be a good option. The spring tends to have less rainy or cloudy days in comparison to the summer. As the temperatures decrease slightly, visits will be cooler in the winter. Walking around the park can be more comfortable when it isn’t hot. There might be a chance of rain, but that means less crowds. The park also offers free dining plans during the fall and winter months, so consider that for budgeting purposes. If you love the water park, visiting during a warmer week of the year may be preferable. Wait times for rides may increase around the summer, as many enjoy sunny days at the park. You can also check the weather forecasts to check climate changes week by week. No matter the weather, you should prepare by bringing warmer and cooler clothing options. Additionally, umbrellas and waterproof jackets can provide protection in case of inclement weather. Just because you're embarking on a California adventure, doesn't mean you won't face some rain. You can have an even more enjoyable week at Magic Kingdom when you're prepared for all possibilities. If you want to go to Disneyland in 2018, the holiday seasons can be the most magical times for the park. Looking to get spooked on a rollercoaster? During September through October, Disneyland begins its Happy Hauntings for eerie fun throughout the park. Dark and scary decorations produce a spooky atmosphere that reflects the Halloween season. All your favorite characters dress up in themed disguises. Visitors can go for haunted tours, or try creepy treats, like bat-shaped cookies. There’s also a pumpkin festival on Main Street with tons of weird and fun displays. You might want to consider if young children will get scared, though the park isn’t known for being too terrifying at this time. From November to December, the amusement park dresses up for the winter holidays. 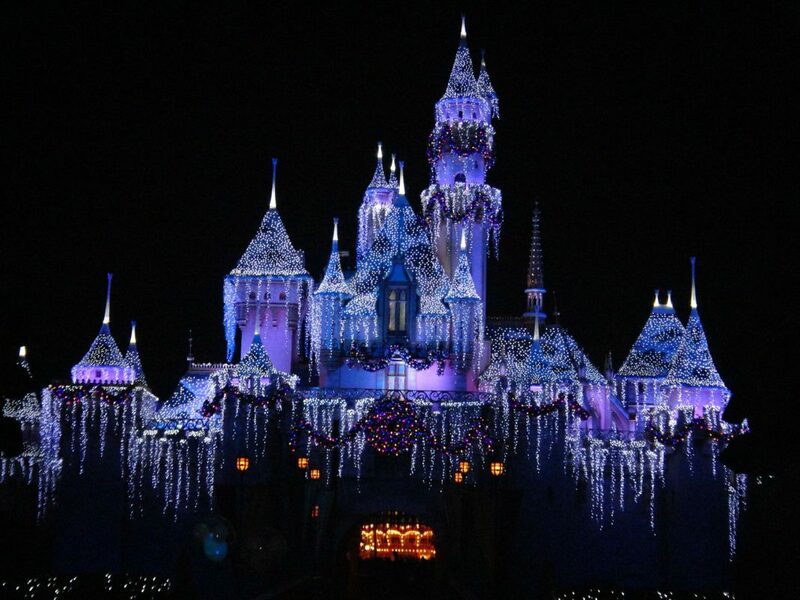 This is known as the most magical time of year, according to Disneyland. The park transforms into a wonderland during these months, with holiday décor and lights adorning the entire site. 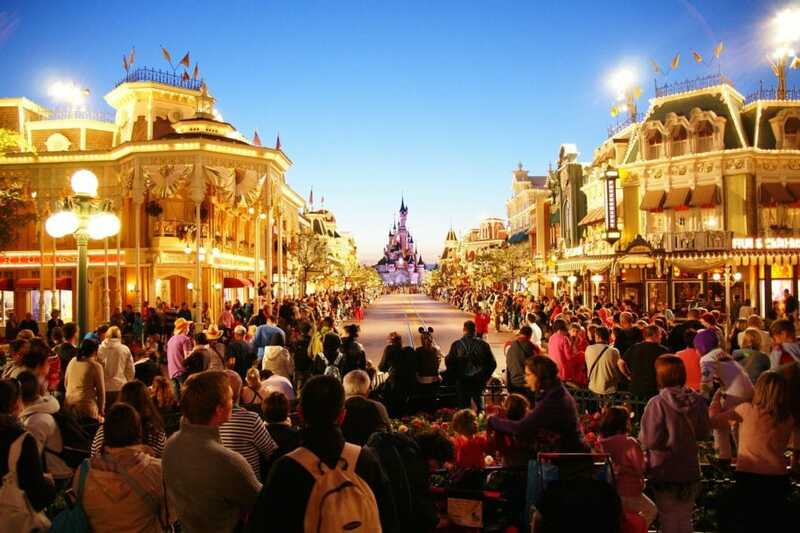 A Christmas Fantasy Parade will delight kids and adults alike. You can also watch colorful fireworks light up the sky at night. The “it’s a small world” attraction will also bring joy as you listen to a holiday version of the song. Trying some holiday delights like hot chocolate or sweet treats will also be a plus. You should also be sure to book your trip well in advance if going during a holiday. These times get especially busy for tourists. The weeks before Christmas and New Year’s tend to be the most popular. Halloween also produces insane crowds with the holiday’s many attractions. If you want to stay in a Disneyland hotel, you'll also probably have to book a room far in advance. Additionally, eating at places like Ariel's Grotto or Goofy’s Kitchen may be more difficult when the park stays crowded. Even the Carthay Circle restaurant, which remains an adult-friendly dining option, will be busy during holidays. Going to Disneyland on a budget? Prices for tickets and resort reservations differ at specific times of the year. Since ticket prices change depending on demand, tickets will be cheaper during less busy periods. You can obtain value rates on single-day tickets. Visitors could save almost $30 on per person when purchasing the tickets during the off-season. Weekday tickets also tend to be less expensive. Certain times called “value dates” tend to be when California students have class. These discounts might help decide the best time to go to Disneyland in 2018. If you really want to save money, you could spend less days at the park. Or, spend more days in the park and save additional money each day. Multi-day tickets tend to have better deals and guarantees. Be on the lookout for special deals, such as those that crop up after the holidays. Park tickets may skyrocket during the popular times of year, such as Christmas and Halloween. Of course, if you have a seasonal pass, you won't run into those issues. Your California adventure will be more exciting when you know you can save money on tickets. Additionally, saving on airfare can also be possible. Look to see when cheap flights coincide with inexpensive tickets and hotel rates. Hotel deals come cheap during the least popular days as well. Rooms in the resort will likely not fill up as fast, increasing chances of decreased costs. At the same time, paying for other fun amusements while at the park can add up quickly. For example, a trip to the Bibbidi Bobbidi Boutique for a princess makeover can cost a lot. Think about your other costs when purchasing tickets to account for every factor. 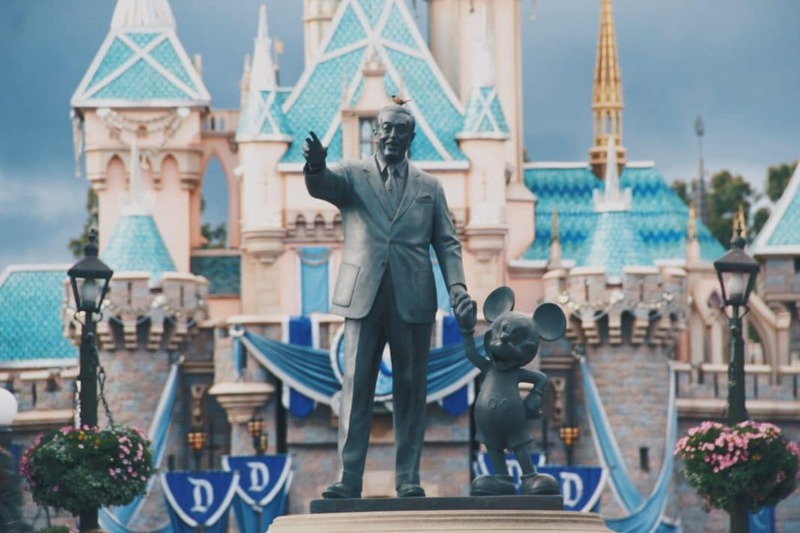 These tips will give an idea as to the most affordable periods to travel and stay at Disneyland. Hopefully they help you decide the best time to go to Disneyland in 2018. In general, the amusement park offers longer hours during the busiest times of year, such as the summer. Shorter hours coincide with less crowded periods of time. This means you could get more accomplished during a shorter day when less people are around. Or, if you know you want to spend a night at the park, the longer hour days might work better. Buying a Fast Pass and organizing your day in advance can also allow you to use the busier and longer hours to your advantage. If you want to ride the popular Matterhorn Bobsleds for example, this attraction may have long lines at certain times. Another thing to consider when choosing when the best time to go to Disneyland in 2018 is is whether you prefer mornings or nights for visiting. If you know you can wake up early and be productive, the short days could work well. However, choose longer days if you don’t leave your bed until late in the afternoon. That way, you won’t worry about having wasted precious time sleeping. These hours change, so check the Disneyland calendar for updates on the park schedule. Similarly, Disneyland tends to open up new attractions every few years or so. For example, the Star Wars land will open in 2019, so look out for updates. Fans of the franchise may want to wait for the land's opening before buying tickets. 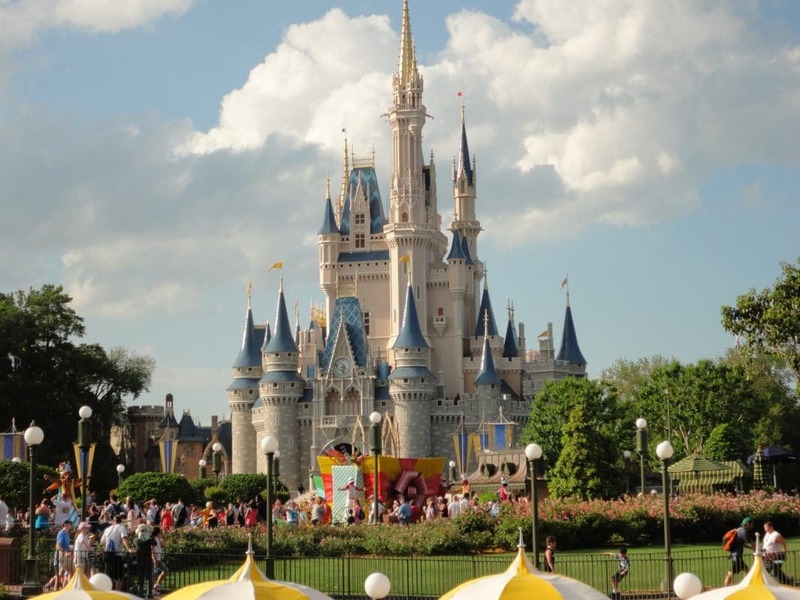 Additionally, Disney includes more events and entertainment options during its longer days. Certain showings will be crowded regardless of the length of the day. Multiple shows playing in one day mean a greater chance of seeing the performance you want. Later programs will also be less packed with people. This allows guests to get a more intimate feel when watching shows. Find the best time to go to Disneyland in 2018 that works for you. Determining when to visit Disneyland can be a challenge. Crowds might be too overwhelming at certain times. Or, choosing between holidays like Halloween or Christmas for travel may produce a dilemma. Even weather can cause issues depending on the heat or cold. If you want to pick the best time to go to Disneyland in 2018, pay attention to your specific desires. In the end, the amusement park will be exciting no matter when you decide to visit.